L'Oreal Confetti // OPI Alpine Snow // OPI Who The Shrek Are You? // Barry M Blueberry Ice Cream // H&M Blue My Mind // Models Own Beach Party // Models Own Hedonist // Pixi Coral Cabana // Pixi Summer Pink // Pixi Very Violet. At the moment I've put the pastel shades away, although you'll probably still see my wearing them, and have brought out the brighter more neon shades of nail polish. You can see my Spring 2013 choices here if you still want a pastel fix. The first five I usually wear on my hands and the second set of five I normally wear on my toes. I don't mind if my nail polishes don't match, it's very rare for me to wear the same polish on both my hands and toes. Surprisingly I did it the other day though with OPI's Romeo & Joliet. After finally tracking down the infamous L'Oreal Confetti top coat it's become one of my go to polishes and works so well with any coloured polish. It also gives a nice glossy finish to the matte neons which makes a nice change. H&M's Blue My Mind is a great cheap dupe for Nails Inc Baker Street as well. I don't wear OPI Alpine Snow on its own, although white polish does look great on others I just think my skin is too pale to pull it off. Instead I use it as a base coat for neons as it makes them look even more vibrant if that's at all possible. I'm still yet to find a white polish that only needs one coat but for now this one works great. 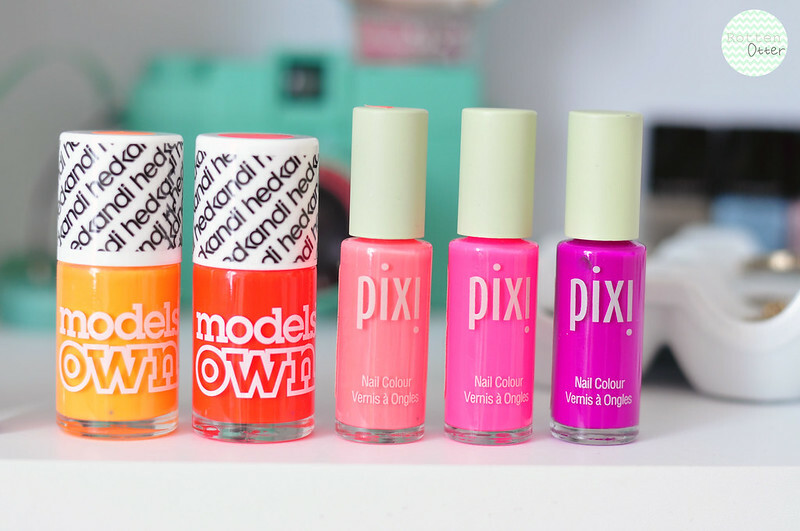 I looove the Pixi polishes! 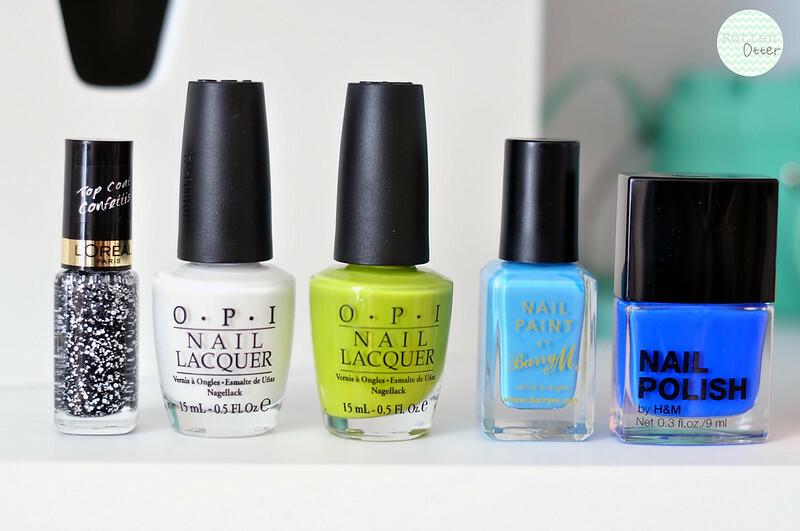 fallen in love with every single one of these polishes, need to add them onto my wishlist! Lovely post! Oh my these are all stunning shades! I rarely match my toes with my fingernails either haha. I love your photography, all the photos are so bright! What camera do you use? Also, do you just use natural lighting?